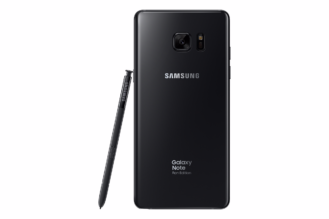 Aside from its tendency to catch fire, the Galaxy Note7 was a good phone - so good, in fact, that some decided to keep theirs even after the final recall, using the reasoning that the chances of the phone burning itself and other things away was minimal. 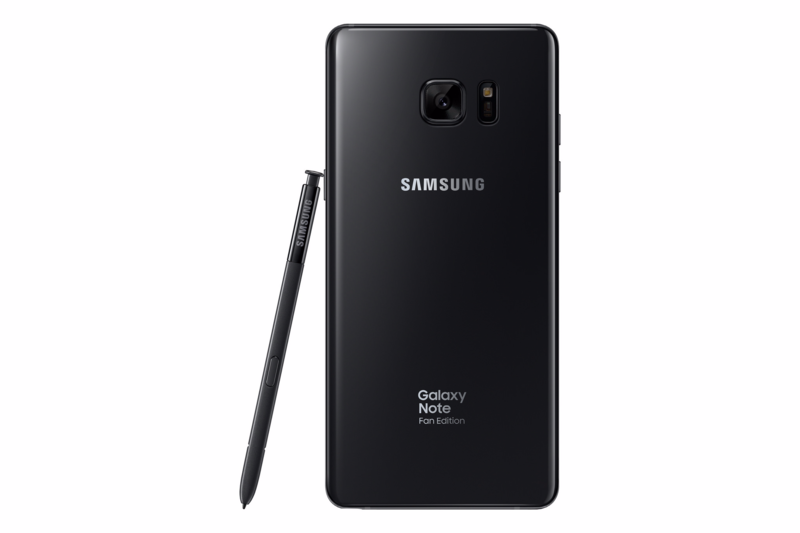 Thankfully, those of you who loved your Note7s don't have to do that anymore - a revised Galaxy Note Fan Edition has been released with the same hardware, as leaks have suggested. Well, aside from the battery, of course. On the outside, the Note FE looks nearly identical to its predecessor. After all, the whole point of the FE is to reuse the Note7's unused parts so that the loss from the recalls is minimized. However, there are two small changes - there is no Samsung logo on the front of the phone underneath the earpiece, and there's a new "Galaxy Note Fan Edition" badge on the back in place of "Galaxy Note7." 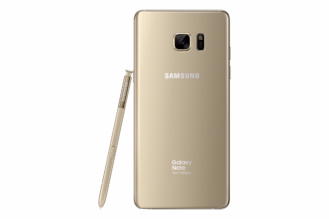 Personally, I'm just glad that the logo on the front is gone, as I found it to look forced, especially on the Note7. The specifications are, unsurprisingly, mostly the same as the Note7's. The FE sports a 5.7" 1440p AMOLED display, an Exynos 8890, 4GB of RAM, 64GB of storage, a 12MP camera, IP68 water resistance, USB-C, fast wireless charging, and of course, the S Pen. 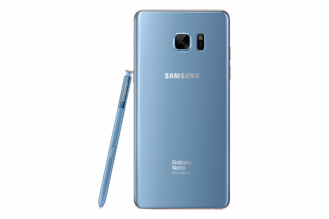 As for the battery, Samsung makes specific mention that the 3200mAh battery features multiple safety designs and a rigorous 8-point safety test. 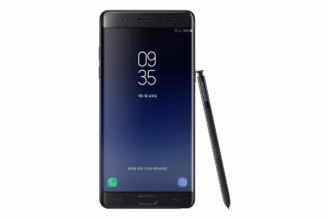 Software-wise, the Note FE uses the same UI as the Galaxy S8. 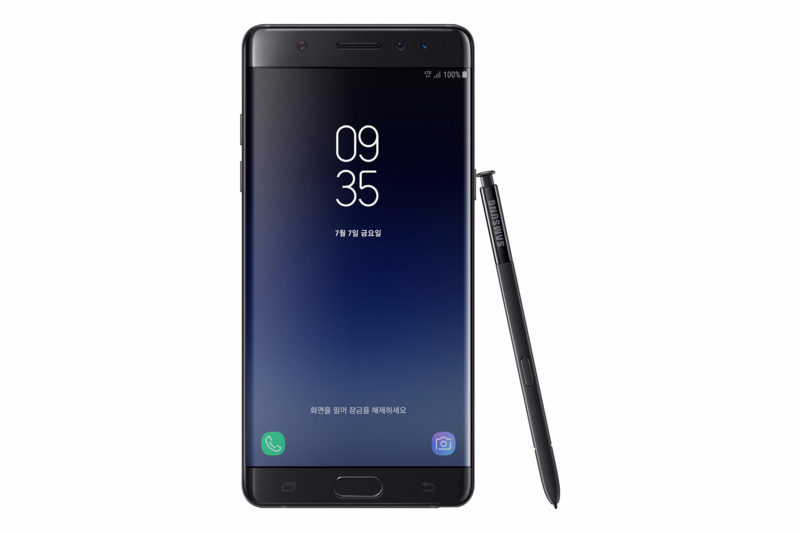 Things like Samsung Pass and the Always-On Display are also present, as is the Bixby personal assistant. There doesn't seem to be a dedicated button for Bixby, thankfully. When the Note FE launches on July 7th, it'll be limited to 400,000 units in South Korea, with allocation for other markets being decided later. All FEs will come with a free Clear View cover in a color that matches the phone. An "S Pen Plus" will be given to customers who purchase an FE before September 30th, though no details are provided on it. A donation program in collaboration with Naver Happy Bean will allow FE customers to participate in a donation of their choice with a coupon that will be included. Price wasn't mentioned, but we've heard rumors of 700,000 won, or $611 USD.